We have a new challenge over on the paperbabe stamps blog, the theme is "Anything goes". I created an Alcohol ink background for my card and used the Iris from the Female Face stamp set to create the center of the flowers, adding a stem and leaves using elements from the Folk fabrique stamp set. 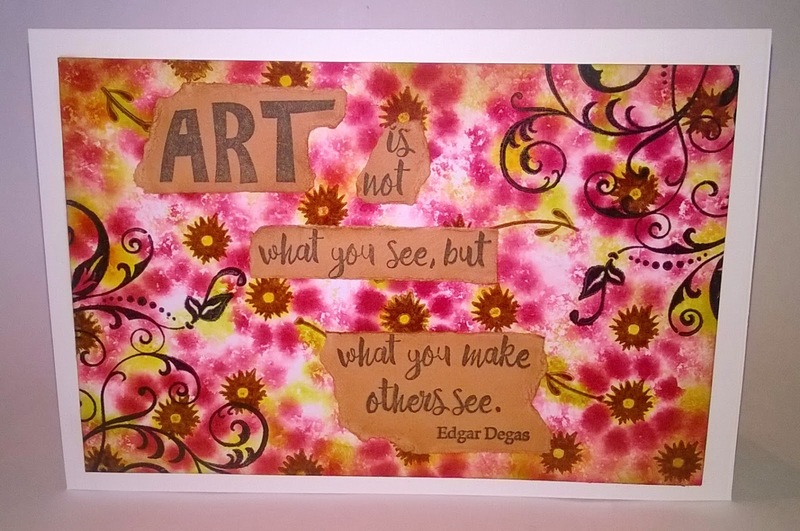 She then stamped the Art Quote stamp onto card and tore it into sections to add dimension and interest.